Merry Christmas from Emily Damico Photography!!! Please join us for our last Facebook contest for 2013- Please see all contest rules. 1. You must be a fan and have liked Emily Damico Photography in order to have your vote count- so if you have not liked our page, please do so now! 2. 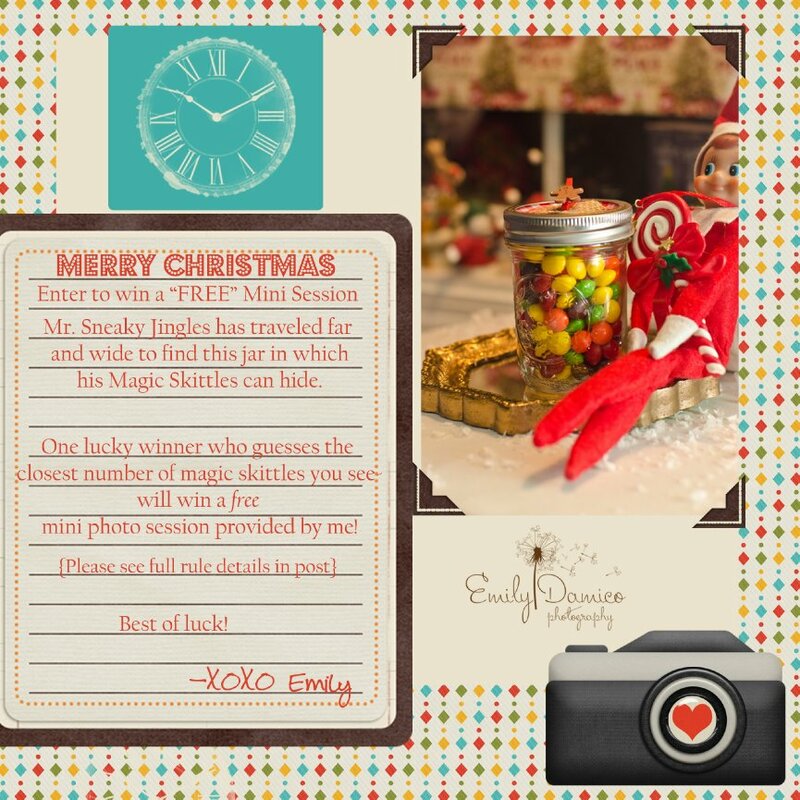 Guess the number of Magic Skittles in MR. SNEAKY JINGLES' jar! 3. Place your guess in the comment below the picture. 5. Feel free to tag yourself, friends and SHARE, SHARE, SHARE! 6. Contest will begin at 6:05 pm Dec.11th and end on Dec. 18th at 6:05 pm with announcing the winner who first guesses the magic number or comes the closest within 3 to total. 8. Have fun and please share- READY, SET, GO!!!!! !